We’re live at the VanCityGives event for Giving Tuesday! I’ve joined over 10 other non-profit organizations who are all here for a big announcement: the official declaration of today as Giving Tuesday Day in Vancouver. 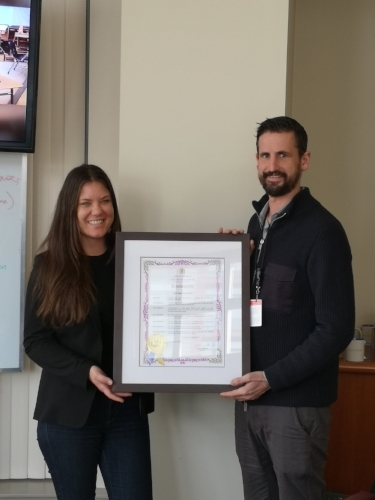 City Councillor Michael Wiebe stopped by to make the declaration providing us all with a official plaque. There will be over 2 billion social media impressions made throughout Canada today for Giving Tuesday, which Amanda Burrows, the coordinator for VanCityGives said is a direct response to the extreme consumption culture of Black Friday. Be sure to check out our profile page on Giving Tuesday below. We are trying to break last year’s fundraising record! Older PostTomorrow is Giving Tuesday!